The Ply-Trim® Companies were founded in 1982 by our Chairman, Harry O. Hoffman. As an independent and family-owned operation, we are a leader in the lumber and building products industry, placing the highest priority on customer service, quality products and on-time deliveries. We strive to be your complete source for residential and commercial building products. 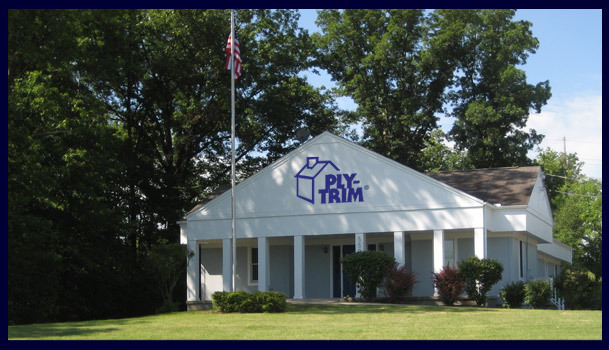 The Ply-Trim® Companies are multi-marketed operations with locations, Youngstown, Ohio and Tacoma, Washington. Our Youngstown facility manufactures DuraBoard® PVC Trim, Ply-Trim® MDO Trim and Ply-Trim® Stair Stringers. We purchase materials from mills (receiving by truck, van and rail), manufacturing and distributing accordingly. We offer Resaw, Gang Saw Rip, Pre-Priming & Finishing, Cross Cutting & Angle Cutting. We market to manufacturers – industrial, commercial & housing, as well as retail lumber yards and truss plants. The Ply-Trim® Companies stock, wholesale and distribute lumber and panel products for our respective markets, focusing on our product niches.